Packed with excellent specs to augment the Ultra HD experience, enough to keep most gamers happy. 4K gaming monitors can be expensive for most casual gamers, fortunately, we are here with a series of reviews about affordable monitors where we include also devices with 4K resolution. 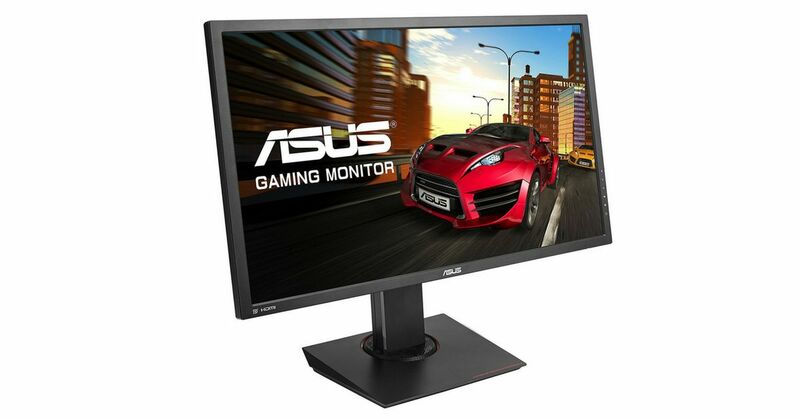 That´s right, several high-quality 4K monitors are on the market today one of them is the ASUS MG28UQ. A fast, powerful and robustly customization-friendly display device with a number of excellent gaming-oriented features. The Asus MG28UQ offers 28-inch TN panel with a 4K resolution, a fast response rate of 1ms, 1000:1 contrast and AMD FreeSync support. It is packed with excellent specs to augment the Ultra HD experience, enough to keep most gamers happy. 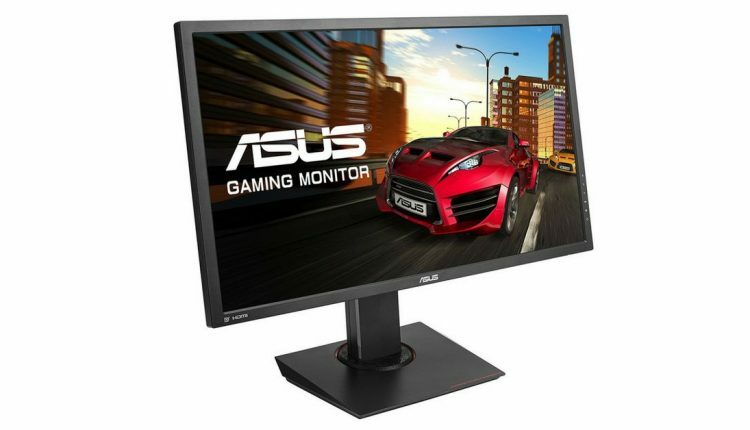 In terms of design, the Asus MG28UQ does look like any other gaming monitors you’ve seen before. It has that elegant and sleek design so common to this electronic manufacture. The design is simple, but this isn´t a disadvantage. You get a monitor with matte-black covering without the unnecessary flashy additions. From the side profile, it is immediately noticeable that the MG28UQ isn’t a slim unit. You will see a bulge that holds an internal power supply. This is a little bit unusual because most of the 28-inch monitors are using an external unit. The ASUS MD28UQ comes with a tall, narrow and robust support stand that meets the basic ergonomic requirements. We are speaking about standard height (5 inches) and tilt adjustment. Gaming monitors are mainly bought for their display capabilities and performance. And the MG28UQ from Asus is a fantastic performer. It comes with a 28-inch TN panel screen and 4K screen resolution, which means it gives you four times higher resolution than the 1080p monitors. Higher the resolution, better the image quality. As we mentioned above, to bring the price down, the Asus has opted for a TN panel rather than VA or IPS. But this is not a disadvantage, because it supports the VESA Adaptive-Sync technology (FreeSync), so the owners of AMD graphic cards can enjoy the dynamic refresh rate and reduced screen tearing. Unfortunately, the FreeSync technology is here only supported in the 40-60Hz range which is pretty limited because you will need to keep games running at above 40fps to see full benefits of the FreeSync. The competition in this category is mostly above the price of this model. You can find monitors with 4K TN panels that are more expensive or devices without FreeSync support, while IPS panel models cost significantly more. 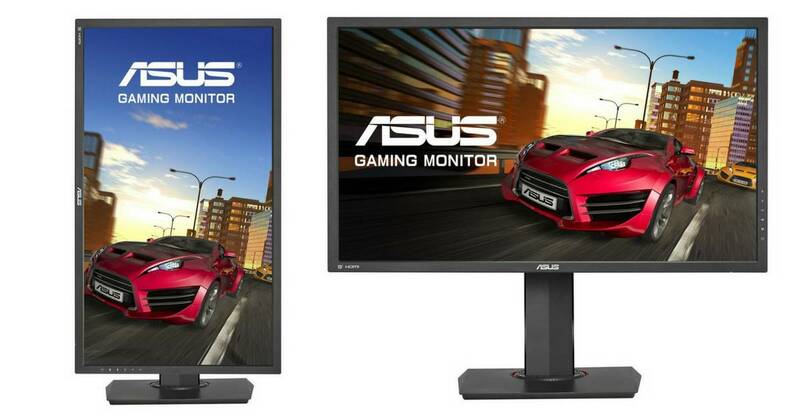 Despite the TN panel, the ASUS MG28UQ gaming monitor delivers a fantastic gaming experience. Its resolution of 3840 x 2160 provides clear texts and sharp, high-quality images. The color performance is on par with other 28-inch TN/UHD panels we’ve been tested and the accuracy is decent in fixed sRGB mode. Contrast is also about average for an Ultra HD panel as well. You can see greater dynamic range from hi-res IPS monitors but they come at a higher cost. In terms of connectivity, the Asus has equipped its MG28UQ well enough for all essential needs and it delivers everything you’d need for multi-monitor arrays, full 4K gaming and gaming in lower resolutions without problems. This model offers a trio of HDMI ports (one HDMI 2.0, two HDMI 1.4) and a single DisplayPort 1.2 connector, which is the only connector to support FreeSync here. There is also a USB 3.0 upstream Type-B port with a pair of Type-A ports. What´s more, there is also a 3.5mm audio output for your headset. The MG28UQ has a pair of 2W speakers, but as usual, these speakers are awful. 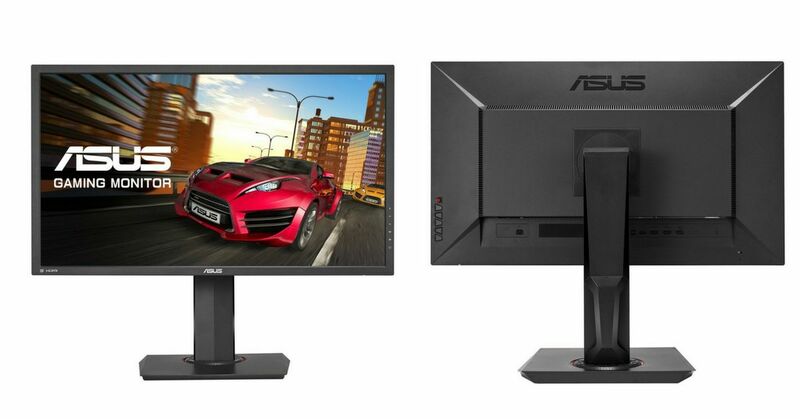 The MG28UQ from Asus makes a great addition to the list of affordable Ultra HD monitors. Awesome build quality, nice and sleek design, colors are beautiful, and the pixel density is insane. For fans of 4K gaming, the Asus MG28UQ is a device with no serious flaws and very few minor flaws. We recommend it for casual gamers and non-gaming users in a home or office setting.